Everyone does laundry, but we're not all blessed with a washer and dryer in our home or apartment. I still remember with joy and excitement when I finally got my own washer and dryer, and believed my days of lugging everything to the laundromat were over. But they really weren't, at least not entirely. That's because things happen. 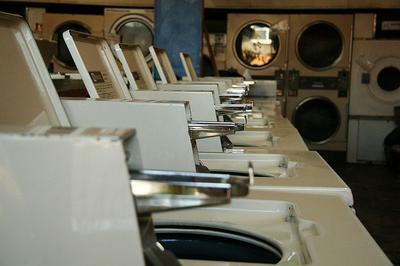 Washers or dryers break, and they can be expensive to replace or repair. But your family doesn't stop wearing or dirtying up clothes, bedsheets, towels, dish towels and more while the machines are broken. So on those occasions I've still headed back to the laundromat. Or maybe you still don't have a washer or dryer. Again, very common. So you consistently have to use public machines, or even if you don't go to a commercial facility your building has a communal set of machines that you use. In all these situations there are certain logistic considerations that you've got to make that are different from those of us who've got a washing machine dedicated for your use in our home all the time. You've got to plan more, to make sure everything gets washed before you need it next. You can't remember the night before about the uniform that needs to be washed, you've got to have remembered when you went to the laundromat. Those are a few examples, but if you wash your clothes at a laundromat you know what I mean, and I'm sure you can think of even more examples. Everyone needs a routine or schedule for getting their laundry done, if you consistently want to have clean clothes, bedding, towels, and more for your family's use. 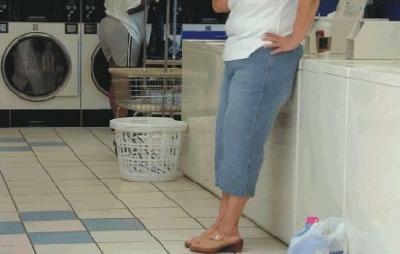 But a schedule for those who use a laundromat will be different than for someone who doesn't have to leave their home to get the laundry done. So below I've gathered quite a few routines and schedules shared by fellow laundromat users, with families, sharing how they keep up with the wash in this situation. Hopefully these ideas and suggestions will get your creativity going to help you craft your own schedule that will work for you. I'd love to hear your schedules and routines as well, a long with any other tips you've got for getting your laundry done at the laundromat. 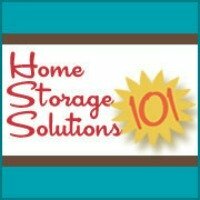 You can share your tips and schedules here and I'll add the best ones to the page. 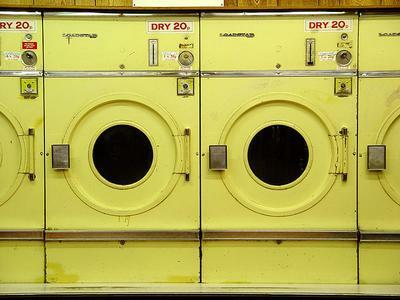 Scroll on down to start reading all the various routines for those who wash clothes and other laundry at the laundromat! Join in and write your own page! It's easy to do. How? Simply click here to return to Make a Weekly Schedule for Laundry. 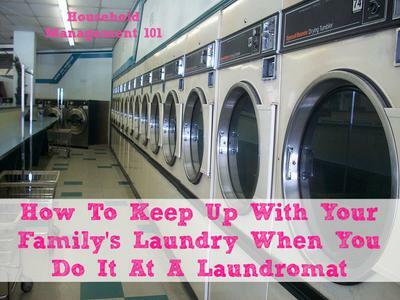 What do you do when you need to use the laundromat for your household's laundry, and cannot do your laundry a little everyday like some other people's weekly laundry schedule? My husband or I do laundry every other week. We live in an apartment building with dryers that don't really work. Rather than hang-dry everything, we take our laundry to the laundromat every other Saturday. We have a 7-month-old son. It takes about 3 hours to wash everything, hang up what needs to be hung, and fold the rest, then drive home (it's a 10-15 minute drive from our building). This schedule works for my family because we don't end up spending every single Saturday afternoon at the laundromat (it takes 3 hours whether we wash 1 week's worth or 2). We would prefer a schedule where we could do one or two loads per night, rather than letting all the washing build up for two weeks (it's heavy! ), but right now it's just not possible. Oh, the longing for our own washer and dryer! I find it hard for me because I live in an apartment complex with over 100 units and 4 communal washers/dryers. We are on a fairly tight budget (only one income) and don't always have money for the laundry ($2.50 per load); so I hand wash (and air dry) a lot. I break mine down into days of the week. There are 4 of us (each gets their own day), and the other 3 days are towels, sheets (unless I wash towels and sheets on their specific day), and; if I can help it; a no laundry day (even God took a rest). This may not work for everyone or anyone else, but it works for me so until I find a better solution for my situation, I'll stick to what works! We have a small family of 4. I taught my sons how to do their own laundry when they were around 10 years old. I found that the washer and dryer were going 6 days a week and my electric bill was through the roof! I decided to cut my losses and we started going to the laundromat. We were there once a week for about 2.5 hours. All laundry is done, folded, and placed in Rubbermaid containers: one for each person. Now that the children are grown, I go once every 2 weeks. I know many won't like this approach, but it sure works well for us. I go to the laundromat every 3 weeks. Since I do not have a washer and dryer, and I only have to do laundry for myself, I cannot bring myself to go more often. I also have to time it so that their washers and dryers will not be occupied and I will not have to wait for someone else's laundry to finish since I choose to go to a small laundromat that has natural light. So, I go between 8 and 11:30 in the morning on a weekday. I do four loads of laundry and it takes 1 1/2 to 2 hours. Then, it is done for 3 weeks. Life is too short to hang out at the laundry mat anymore than necessary. I don't mind the quiet imposed by the drone of the machines; it is kind of like a library where I catch up on a book or a newspaper. While the thought of going to do laundry is painful, the doing of it is rather meditative. 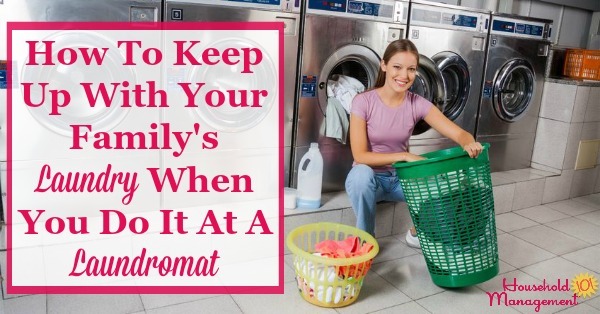 I hope these ideas shared by readers have given you some ideas for yourself of how to keep up with your family's laundry when doing it at a laundromat. 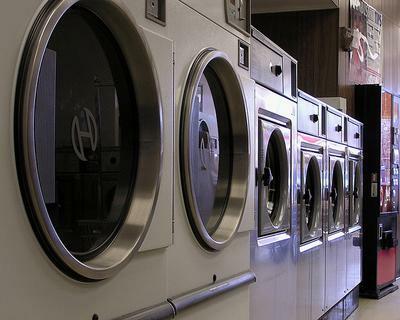 I'd love to hear any other tips and suggestions you may have for doing laundry at the laundromat, so if you've got anything to share please tell me in the comments or you can share your tips and schedules here. 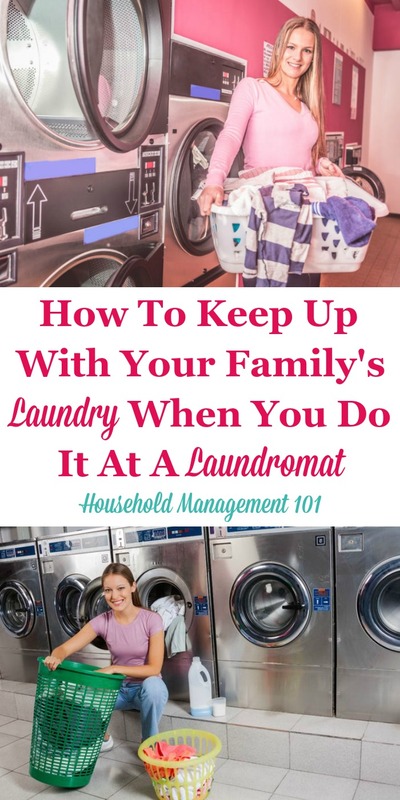 In addition, don't forget additional articles in this series where we explore lots of different real life schedules and routines that work for getting your laundry done! I have laundry in the building I live, but they still charge for use. It's cheap, but having quarters lying around is tough and I can never get a routine going, so when I run out of clothes after about 3 weeks I take it all to the laundromat and do it all at once. It's definitely impacted the clothes I have - for example, I need enough underwear to last me for three weeks, unlike most people who probably have less. I also tend to buy more dark neutrals, not because it's classy, but because then I can wash them all in one giganto washer they have at the laundromat. My boys know how to do their laundry and have since they were small. What makes it hard for us is we are on a limited budget and have to take the clothes to the laundromat. Very expensive so we do laundry there every two weeks. My boys know how to hand wash their clothes and we have a drying rack in our shower/tub. I long to have a place where I can have a washer/dryer. When I use to have to do my laundry at the laundromat I had things I did. I always made sure to go get rolls of quarters from the bank either the week before or at the latest the day before. As the week went by any quarters I got from spending money always went into (and still does) a separate cosmetic bag for them. This allowed for as much change as I could get. I also had my laundry presorted and pre-treated before leaving home. Always brought something to do, like letters to write, cards, or work. If I had nothing I could do that way I made sure to have something to read or play with and enjoy the time between starting wash to fold. I kept the laundry supplies in a separate tote or bag. Made sure everything was pre-organized into a bag that always was together. Also made sure to have a drink and/or snack to avoid the vending machines. Those school lunch bags were perfect to hold just something. I could always throw a wet nap or wet cloth in a ziploc bag to wash up afterwards. I treated it like an outing and made sure I had things to do. Since I didn't have children it made it easier and headphones made it awesome for great tunes to pass the time. As someone who works in commercial dry cleaning & laundry I would like to make a few suggestions. Check your pockets & check them again. Most drain problems with washers are attributed to pens, pocket knives, matchbox cars, etc. & bra wires making their way into the drain pump on top load washers & the dump valve drains on front load washers. More detergent is not better. Excessive soaping can wreck your front load washer! Excess soap is also what causes fabric pilling & a dulling of fabric. Do you know detergent manufacturers make money by recommending more detergent than is necessary? That way you buy more of their product because you are using more. While I don't have a set schedule for laundry, I do have some method, or, at least the start of one. See, at first My SO and I would take our clothes to the laundromat across the street. The cost was about 99 cents per pound for a wash, dry, and fold service. Eventually, we decided that the cost was too steep. And, on top of that, even though the laundry was clean it rarely got put away completely. Actually, it probably NEVER got put away completely. So, eventually, we decided to ask my SO's mom if she wouldn't mind helping out with the load. I'm really grateful for her help. And, I also ended up sending a load to my mom's on the weekends. My daughter visits her during that time. So it all worked out. Well, we did it like this for about a year. But recently, I've learned how to hand wash. While access to a machine and dryer is still necessary some of the time, I sort of enjoy handwashing. It is tiring, yes, but it's a decent workout. Also, a huge benefit is that it takes significantly less time to put up laundry. If the clothes are on a hanger, all I need to do is walk them to the closet once they're dry.